Lovely lighting on these most welcome of spring flowers. Such wonderful pictures. The whole family has just gazed appreciatively at them both! Your post is about purples and greens. Mine is about violets and greens. Spring beckons. It's still snowy and 1 degree in Wisconsin, so seeing those lovely crocuses is like applying balm to my soul. Thank you Catherine! 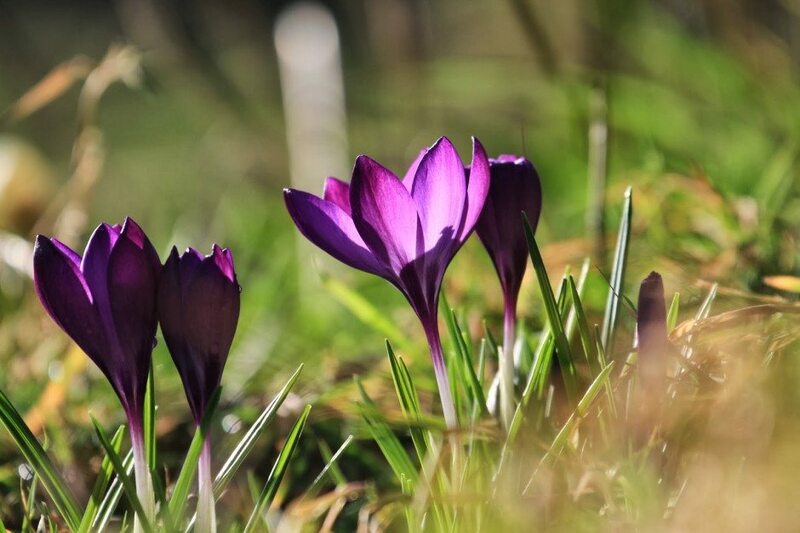 I loved seeing these gorgeous crocus . I look forward to the day they peek out here at the farm once more. 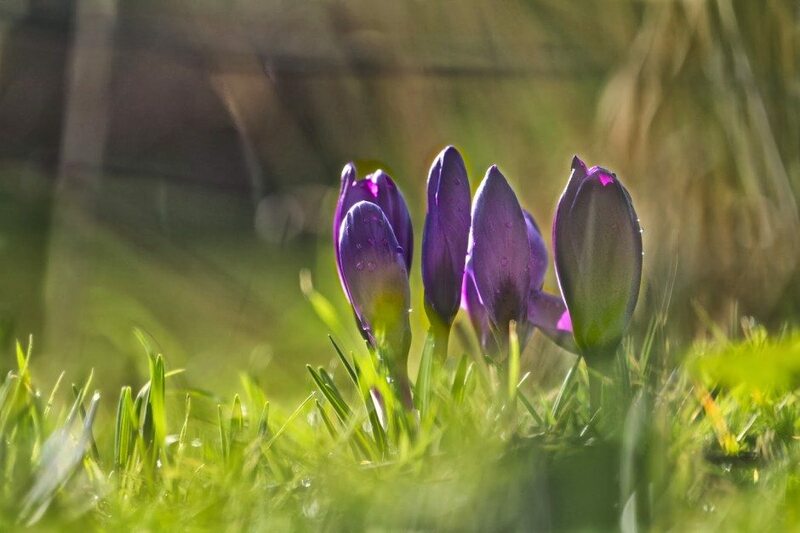 Beautiful light on the crocuses.